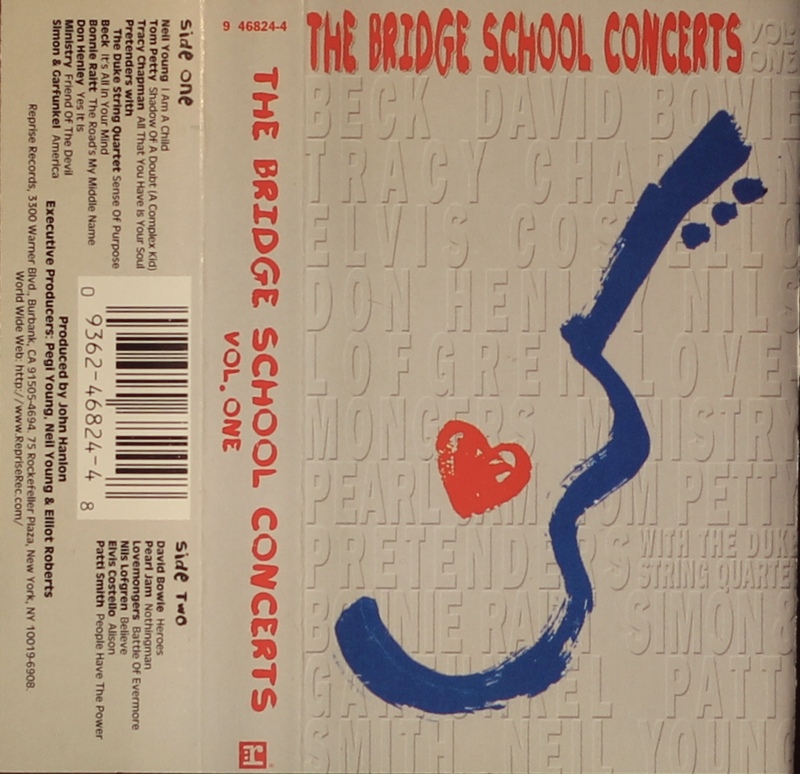 The Bridge School Concerts, Vol 1: USA; Reprise Records, 9 46824-4; 1997. 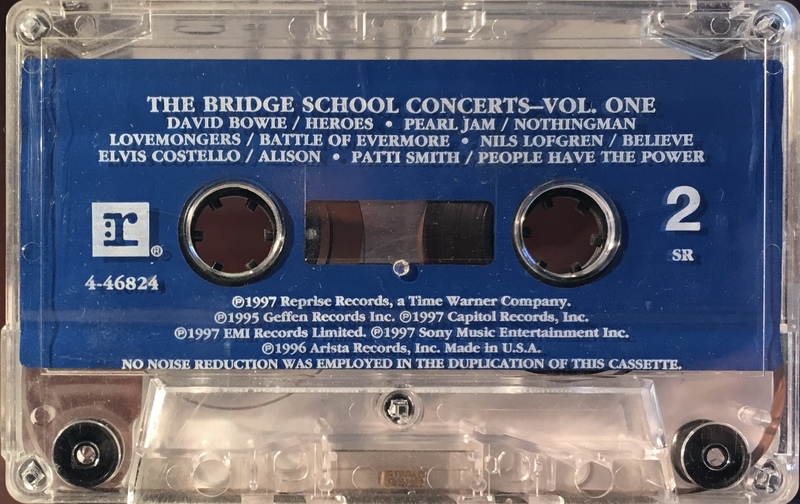 Thick treated paper with track list and information on inner panels and information about the Bridge School across the inside panels. David Bowie performs track “Heroes’ live with Gail Ann Dorsey and Reeves Gabrels at the 1996 benefit concert. White ink printed directly to clear shell with blue plain slip sheet.